Game camera lockboxes are designed to make sure your game trail cameras stay put in their proper places. An all-steel lock box ensures maximum protection with its standard padlock or Master Lock Python cable. Brands specifically design lockboxes to allow hunters to attach them to trees or posts. This allows you to optimize your game camera without worrying about animals going to your camera and destroying it. In this article, we look for the best trail camera lockboxes you can consider to secure your hunting camera. For starters, this Bear Safe Security Case from Bushnell has quality optics with stunning HD clarity. It only uses a hundred percent quality materials to make the entirety of the lockbox. It protects your game camera from animals and theft. Design-wise, it has a simple design, but with a durability that can last a long time. Moreover, it is compatible with Deluxe Tree Bracket, which you purchase separately from this game camera model. You can use this model with the Bushnell Trophy Cams except for the Bushnell Black LED Trophy Cams. You can secure this Bushnell Security Case with lag screws or Master Python Lock. Upon purchase of this model, you will also get a padlock and two keys. 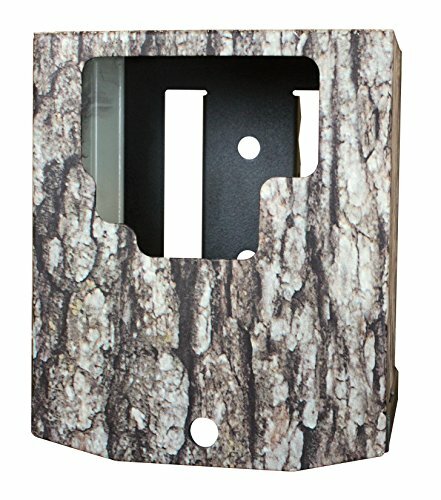 For an affordable price, you can have this Moultrie Security Box for your game camera. If you already have a Moultrie Game Camera in your stash, then this would be beneficial for you. This lockbox is custom designed to accommodate all Moultrie M-Series models from 2013 to the present date. According to its description, it is an 18-gauge and powder-coated steel security box. Because of its custom-built, this security box from Moultrie allows your game camera to fit nicely inside. 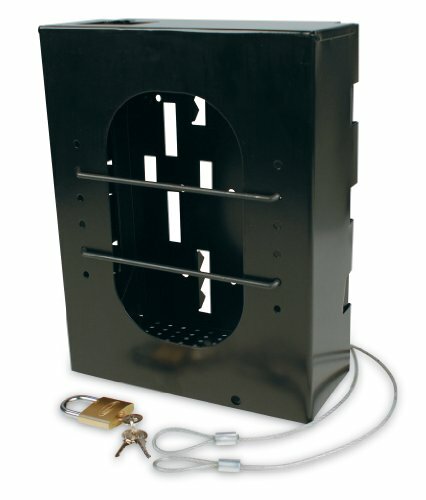 You can attach this security box more securely by strapping the black plate with lag bolts. If you buy this model, you will also get hardware that will help you set up this security box quickly. 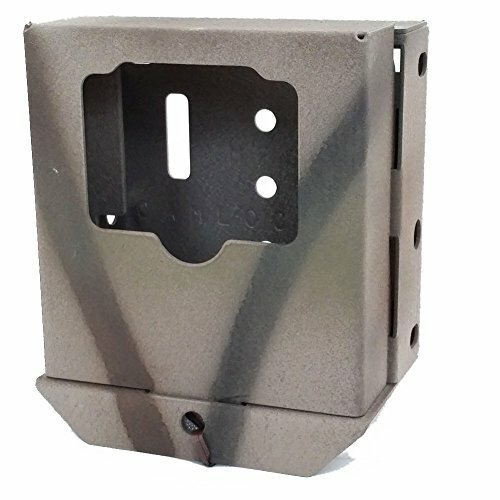 If you are looking for a basic lockbox for your game camera, you can consider buying this plain black security box from Moultrie. Its primary purpose is to protect your game camera from theft or damage whether from animals or intruding neighbors. 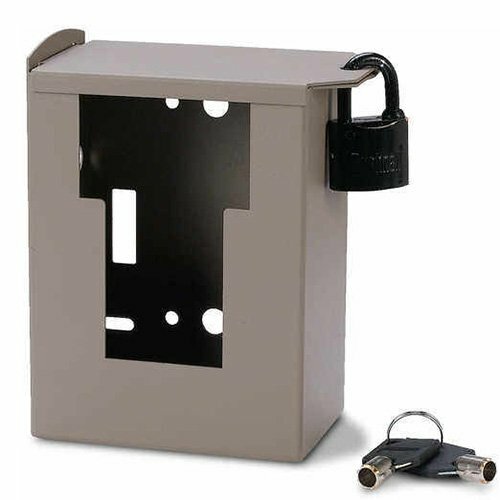 Like the previous Moultrie model, it is an 18-gauge and powder-coated steel security box that includes a brass padlock and key when you purchase a kit. Its compatibility with most game cameras makes it an excellent choice for hunters who have different game cameras in their stash. This would also be a nice pick for you if you are a beginner at hunting and need a basic lockbox for your trail camera. When you buy this game camera, you will also have a 49-inch plastic coated and steel-braided security cable. Browning is a famous brand of choice for trail hunters. If you already have your own Browning Game Trail Camera, it is advisable that you also have the right security box for it. For its essential features, this Browning Sub Micro Strike Force Security Box protects your game camera against theft and damage. It is coated with powder and painted with a camo design to match it well to the hunting environment. It allows you to use a padlock or a Python cable to secure it to a post or tree. Customers love that it is well-built and has an excellent fit with a Browning Game Camera.